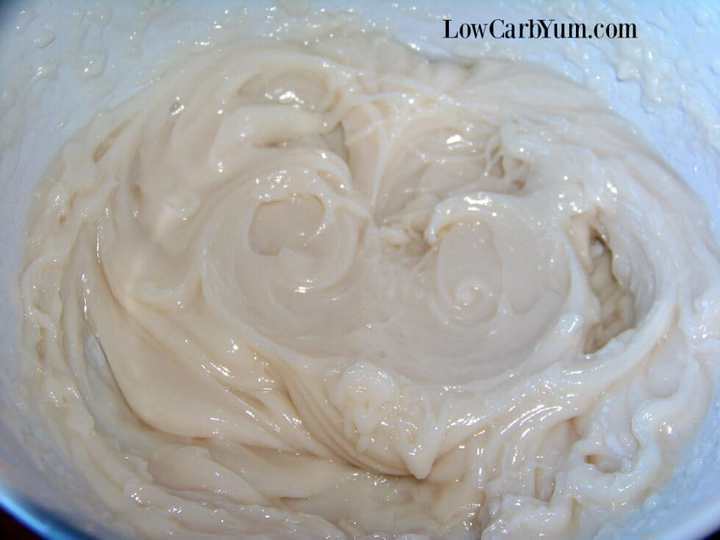 No time to make delicious low homemade low carb candy? Think again. 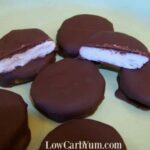 These wonderful all natural sugar free peppermint patties can be made quick and easy. 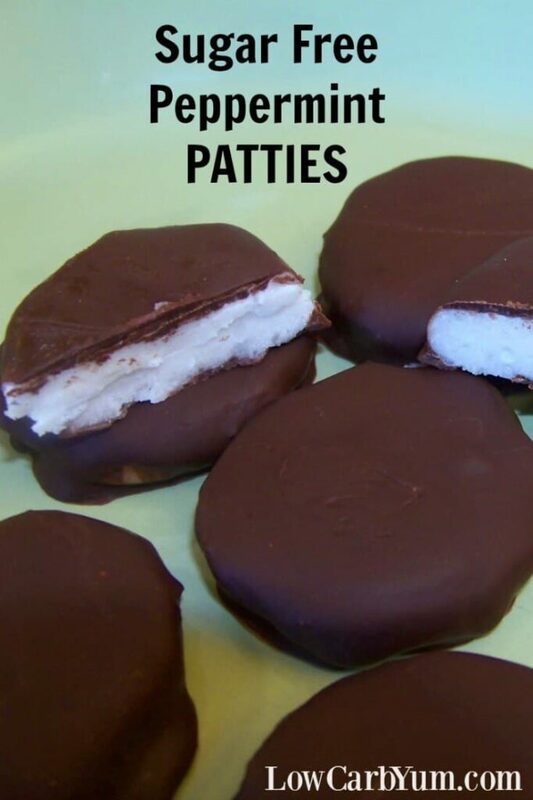 There’s nothing better than a sweet peppermint patty candy after dinner. 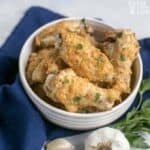 Although they look like something that could be difficult to make at home, they aren’t. 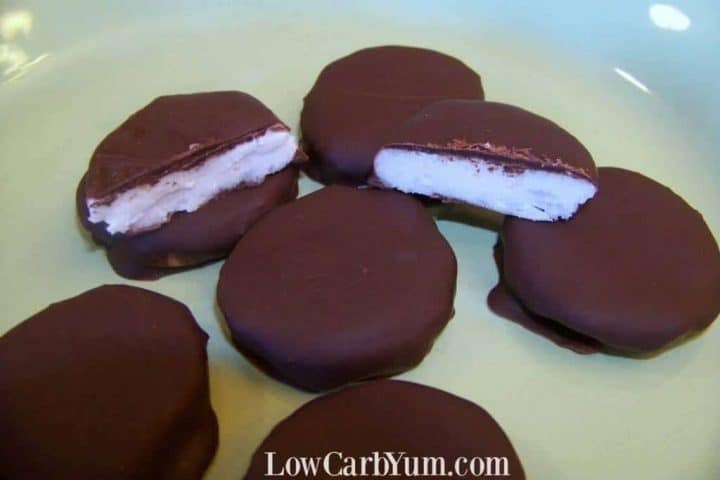 I had been wanting to make homemade sugar free peppermint patties for a while. But, I felt like it was too involved and I wouldn’t have the time to do it. Boy was I was wrong! 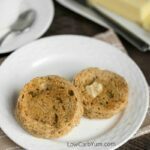 The filling in these low carb concoctions is a blend of coconut oil, erythritol or powdered Swerve, stevia, vanilla extract, peppermint flavoring or extract, and heavy cream. I found that warming up the coconut oil slightly made it much easier to work with. However, if you live in a hotter climate than New England at this time of year, you may not have to soften the oil. Because it’s so cold here, coconut oil tends to be solid at room temperature. To make evenly sized sugar free peppermint patties, I used a cookie scoop to plop the filling paste onto a non-stick sheet. Then I flattened each mound by going over the top of each mound with a knife. I also tried using the back of the scooper instead of the knife to thin out each mound of paste. That worked just as well without having to dirty another kitchen utensil. After each mound was spread out into a nice flat circle, the entire pan was placed in the freezer. It only takes a few minutes to harden. I took them out after about 15 minutes. You want to have your chocolate ready to go at this point. 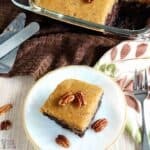 You can use your favorite low carb chocolate or make a homemade chocolate recipe. Personally, I prefer making my own. To get your chocolate melted at the perfect temperature, it’s useful to use a chocolate melter. I find it much easier than a double boiler. 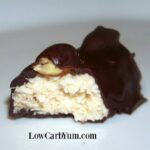 After removing the sugar free peppermint patties frozen centers from the freezer, you want to work quickly. Each needs to be dipped into the melted chocolate. For a thicker chocolate coating, you can double dip. When I was finished dipping each frozen patty into the chocolate and placing them on a sheet to cool, I had a little chocolate left over. Since I have some small chocolate candy molds, I poured the leftover chocolate into them and made some cute little sugar free chocolates. My daughter ate all those chocolates and asked that I make more next time. 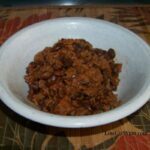 So, throw in a bit of extra low carb chocolate into the pot. You’ll be glad you did! And, don’t forget there are chocolate health benefits too! So it’s great to have some extra bites of it stashed away. 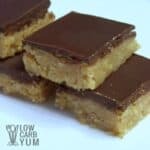 No time to make delicious low homemade low carb candy? Think again. 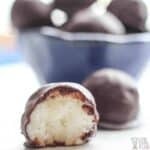 These wonderful all natural peppermint patties can be made quick and easy. 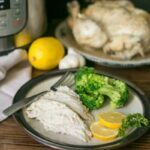 Line two baking sheets with wax paper, parchment paper or non-stick silicon mat. 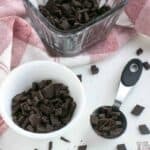 In a chocolate melter or double boiler, melt chocolate chips with shortening. Keep warm after chocolate chips melt completely. With an electric mixer, blend the sweeteners with the coconut oil. If the coconut oil is very hard, you may need to warm it slightly before mixing it with the sweeteners. Then add the extracts and cream. The peppermint filling should be a creamy paste. 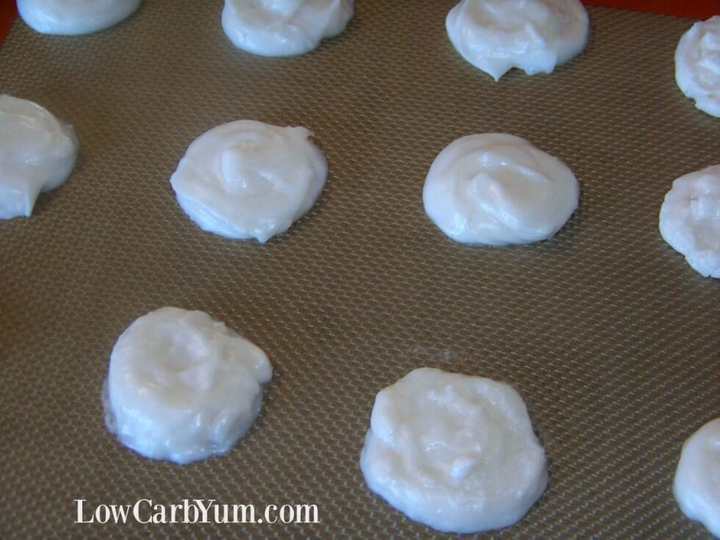 Using a cookie scoop or spoon, drop tablespoon sized mounds evenly onto one of the baking sheets lined with the non-stick sheet. Flatten each mound slightly with a knife or spoon. Place baking sheet into freezer for about 15 minutes. Dip each frozen filling into the chocolate and place onto the other lined baking sheet. 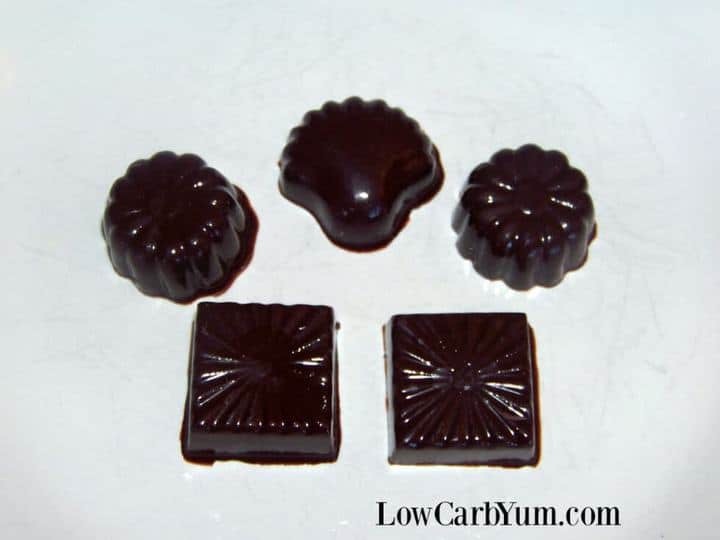 Be sure to place the bumpy side down with the flat side up because it will result in better looking chocolate coated candies. 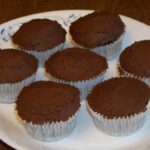 For chocolate coating, a homemade low carb chocolate recipe can be used.